Camping isn’t for everyone. My family loves to explore the outdoors – but we also love a comfortable bed. 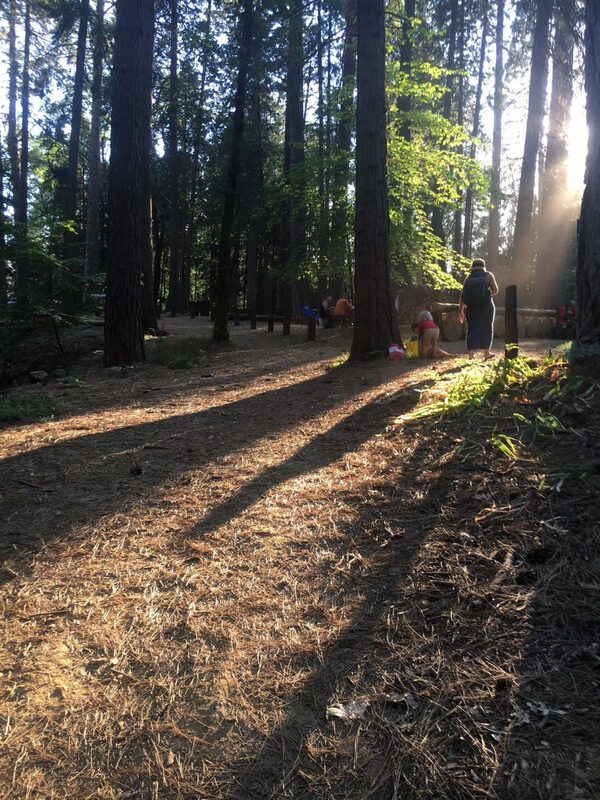 The Inn Town Campground in Nevada City is a great place to check out for outdoor lovers who are also looking for a bit more comfort. 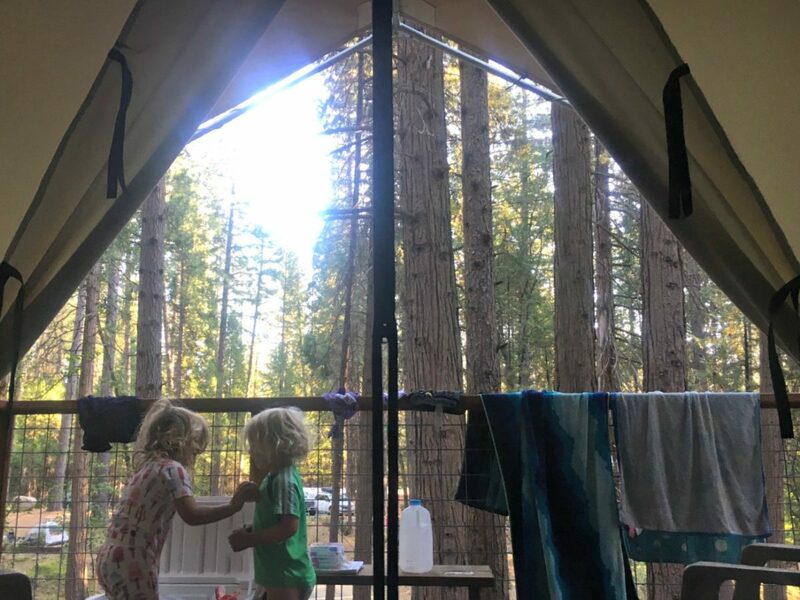 Recently, our family headed up I-80 out of the Sacramento heat to a only slightly cooler Nevada City to check this place out and give “glamping” – glamorous camping- a try. It was a hit for the whole family. The campground is just a few minutes outside of Nevada City and has tent sites, RV hookups and glamping sites. The glamping sites are deluxe canvas tents with electricity and a real bed with linens included. 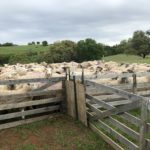 We brought extra blankets and pillows for sleeping on the floor – but they have cots available to add to the glamping tents as well. The site has a full community kitchen, swimming pool, nice bathrooms with showers and a community area with a TV and games. They have a little store that sells some food and drink basics, including beer and wine. 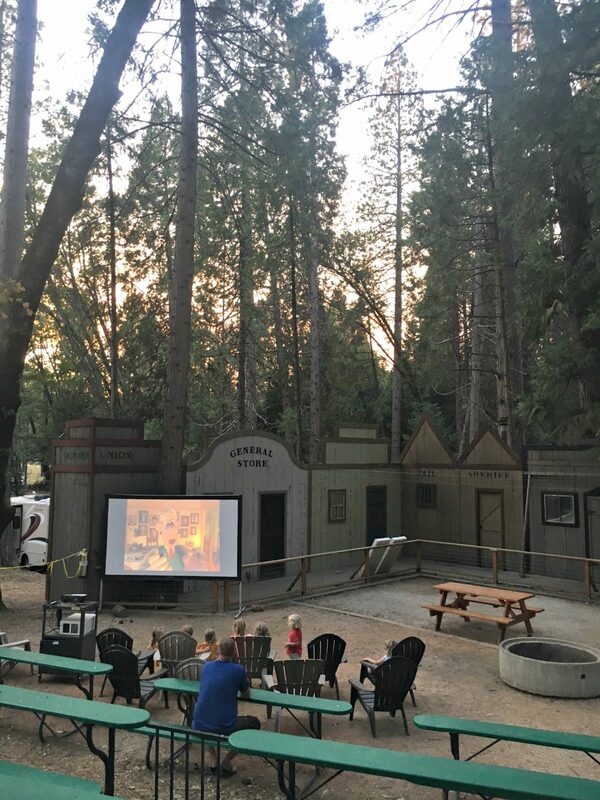 For the traditional campers they have a communal wood burning fire pit and for the less-traditional campers they have kid-friendly “movie nights” at their outdoor common area. 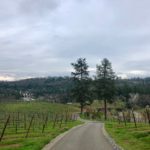 With Nevada City only a few minutes away, you can head into town to explore Pioneer Park or grab a pizza and a beer at Three Forks Bakery & Brewing Co. There is a trail that goes right from the campground to Nevada City. Also worth checking out is the Nevada County Narrow Gauge Railroad Museum located right next to the campground and taking a ride on their unique Railbus. 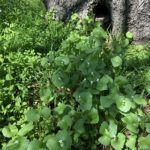 Interested in other glamping opportunities in Northern California? This list from SFGate includes some other great locations including the Mary Smith Campground at Lewiston Lake.